Aqua Vacation Rentals was established in 2011 and is family owned. We are a small company that focuses on quality, not quantity! It’s our mission to give vacation guests and vacation homeowners exceptional, personalized customer service! My husband and I spent quite a bit of time traveling throughout the years. We’ve stayed in many high end resorts and hotels and found that we love that attention to detail that they provide. The personal touches and “going out of their way service”, whether it was the beds turned back with chocolates or a bottle of champagne when we arrived, was something we loved. We felt as though we mattered as their guests. We weren't just renters! Experiencing those things made us realize that we can make a difference in this rental market . We offer many personalized aspects to a guests stay that you don't see often. For example, face to face check in, tour of the house, questions answered about the area, personalized touches regarding cleaning and presentation of the home, fresh cut flowers, wine or champagne for special occasions, dinner reservations made for celebrations, setting up the fire pit, immediate response to any issues or concerns. 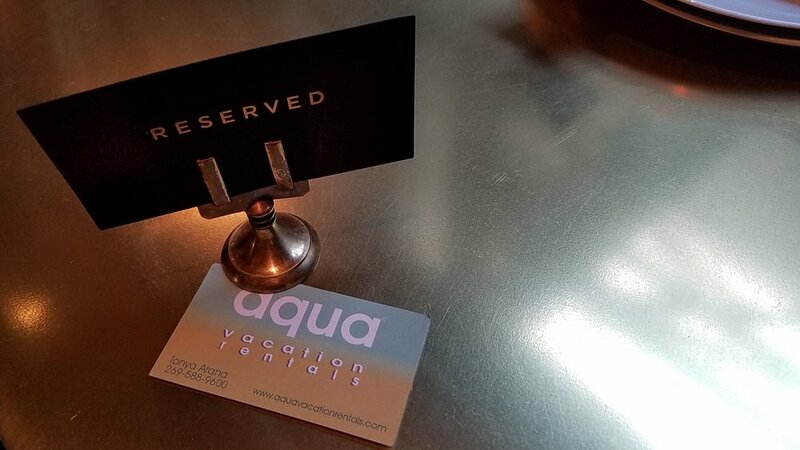 These are just a few of the things that you will experience when staying in an Aqua Vacation Rentals home. As a guest in one of our rental homes we hope you will be pleasantly surprised at the personalized touches and attention to detail we incorporate into your stay! We limit our inventory to ensure that our homeowners and guests receive the best service at all times. You will never find a key under the mat or have to call use multiple times to get an issue resolved. We as owners are involved in everything from making sure our homes are well maintained to welcoming all of our guests to immediately responding to any concerns or issues. Communication is always a top priority for us. We pride ourselves on building lasting relationships with both our homeowners and guests.